You can certainly exercise at a fancy gym with a personal trainer and state-of-the-art equipment if you have the money and time to do so. 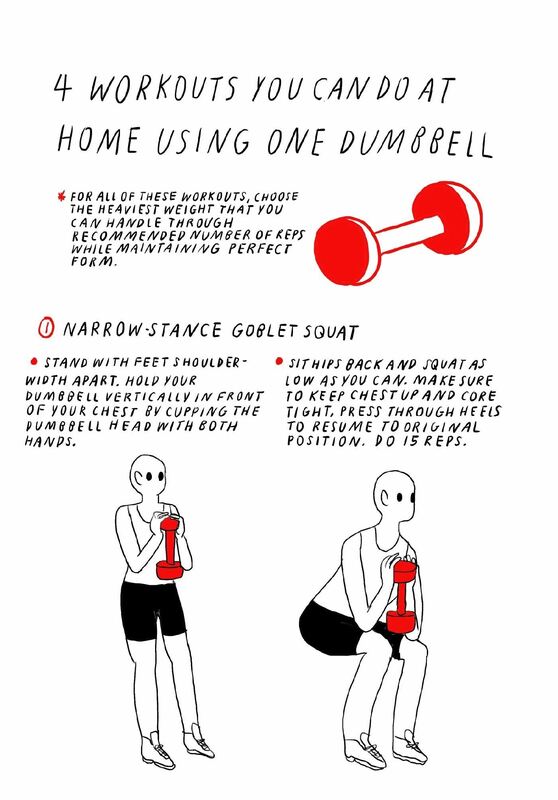 However, if you are on a budget and don't want to waste extra time getting into your best gym clothes and driving, you can give yourself an intensive workout at home using only one dumbbell. For the exercises below, try to use the heaviest dumbbell you can handle that allows for you to go through all the reps while maintaining perfect form. Once the reps get too easy over time, you can increase the sets or increase your dumbbell weight. Don't think you have any time for a workout? Try tricking yourself into exercising throughout the day or doing some physical activity right at your computer desk. 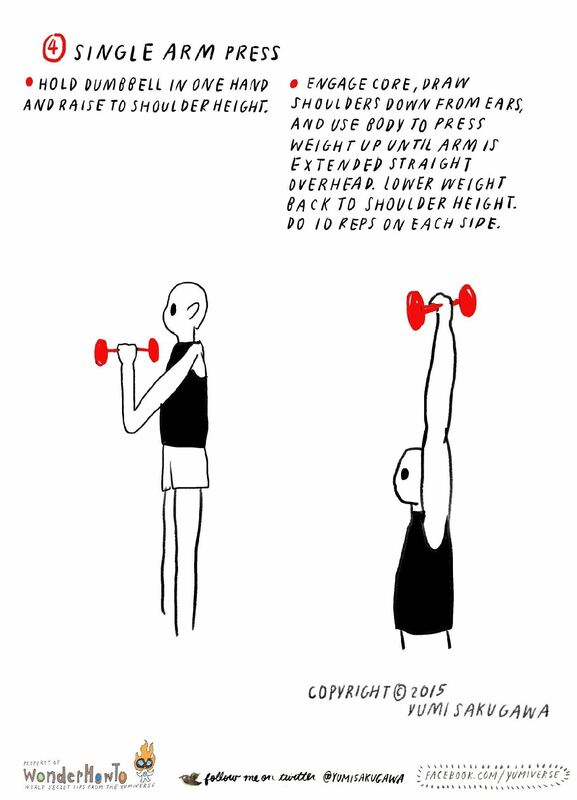 I typically do a curl and then transition into the single arm press as one rep to get two muscle groups with one movement. I'm certainly a beginner and far out of my league, but this info calls out to be learned.